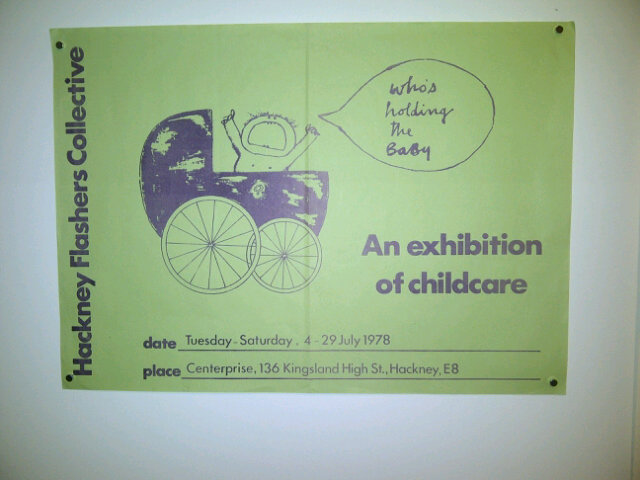 The Hackney Flashers were a collective of broadly socialist-feminist women who produced agitprop exhibitions in the 1970s and early 1980s. 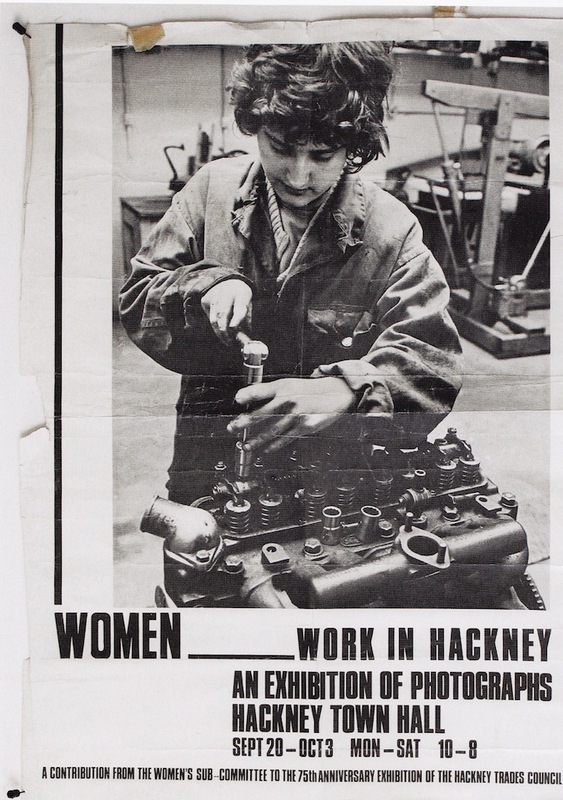 The group evolved out of the radical Photography Workshop in 1974 when two of its members (Jo Spence and Neil Martinson) were seeking women photographers to contribute to a project on “Women and Work” for Hackney Trades Council. 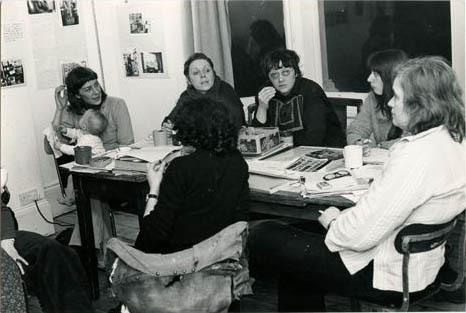 (Many of the participants had met previously in the Half Moon Gallery’s 1972 “Women on women” project.) 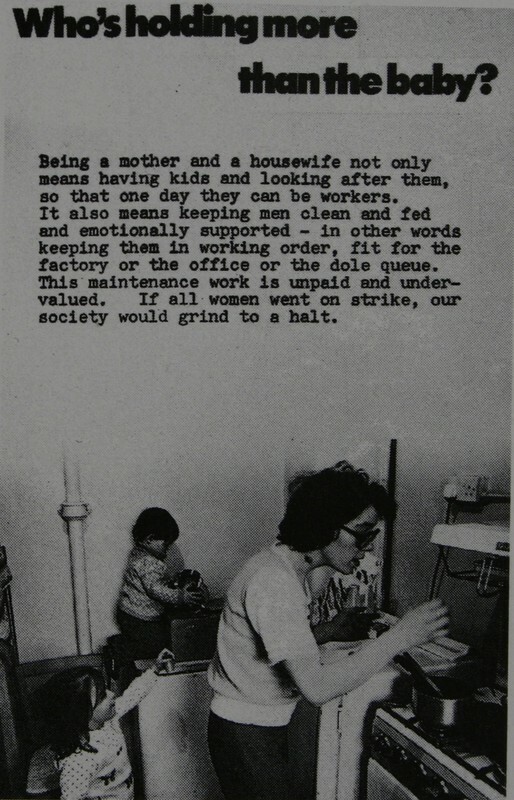 “Women and work” was part of the Trades Council’s anniversary celebrations, with the un-feminist umbrella title of “75 years of Brotherhood“. 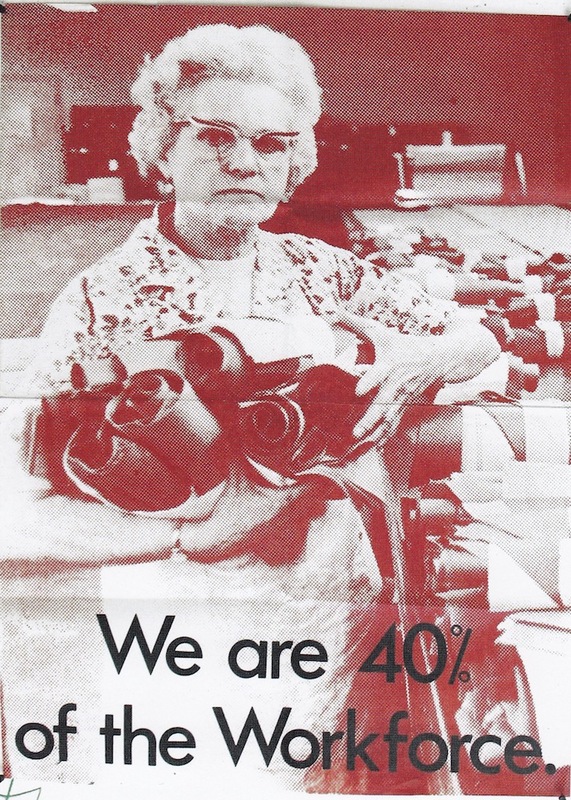 This was a series of (mainly) black & white photographs and hand-written text acknowledging the hidden contribution women made to the economy and was a strong statement for equal pay. 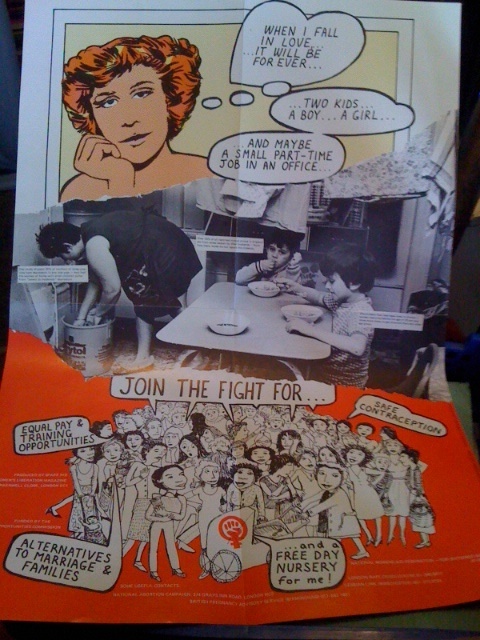 Women and Work was first exhibited at Hackney Town Hall, appeared at a Socialist Feminist International Conference in Paris (1977) and was hung in many venues in between. 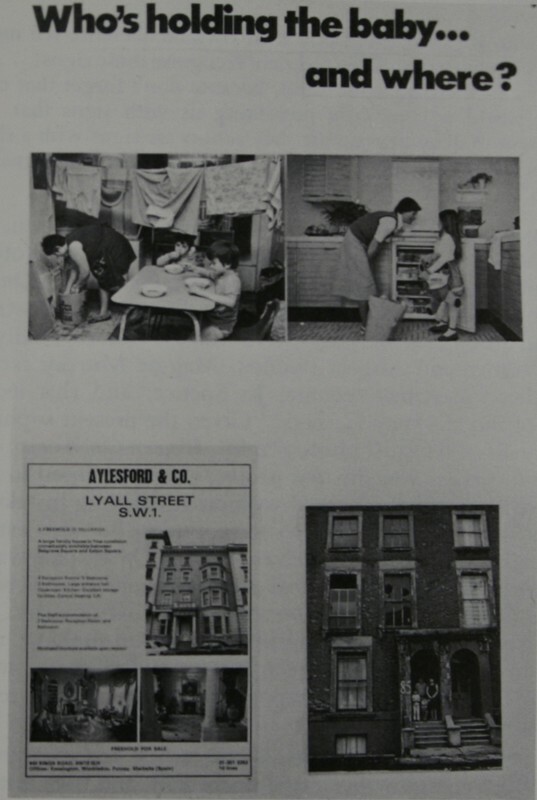 An education pack (24 slides and a booklet) using the work of the Hackney Flashers; and intended to encourage students’ active, critical participation in the issues. Who were The Hackney Flashers? Nanette Salomon (now a professor of Art History The College of Staten Island/CUNY – see comment below). The group apparently split up in the early eighties, citing political differences – but it seems that many members continued to work with each other. (Both of these are out of print but can be found 2nd hand for reasonable prices if you look long enough. 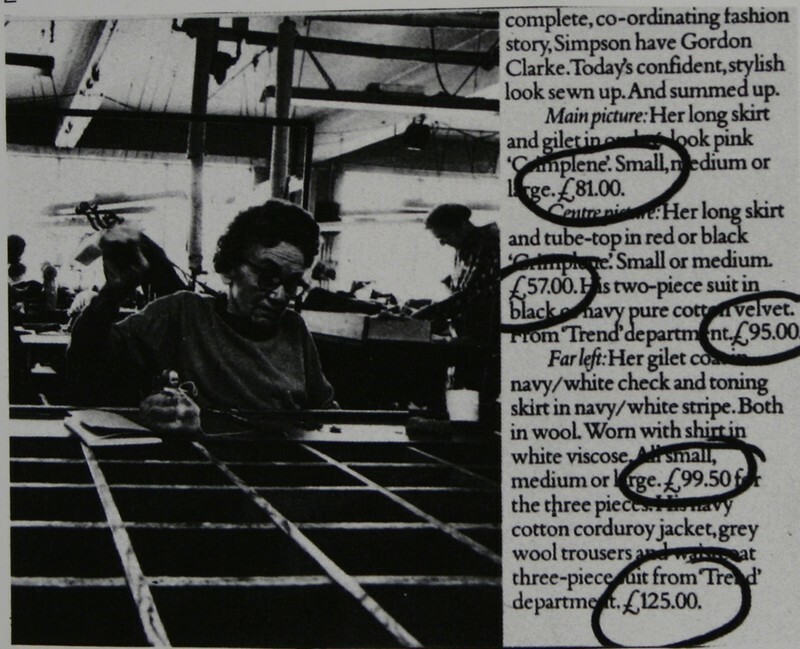 Spence died of cancer in 1992 and her later work documents her illness very powerfully). 2. 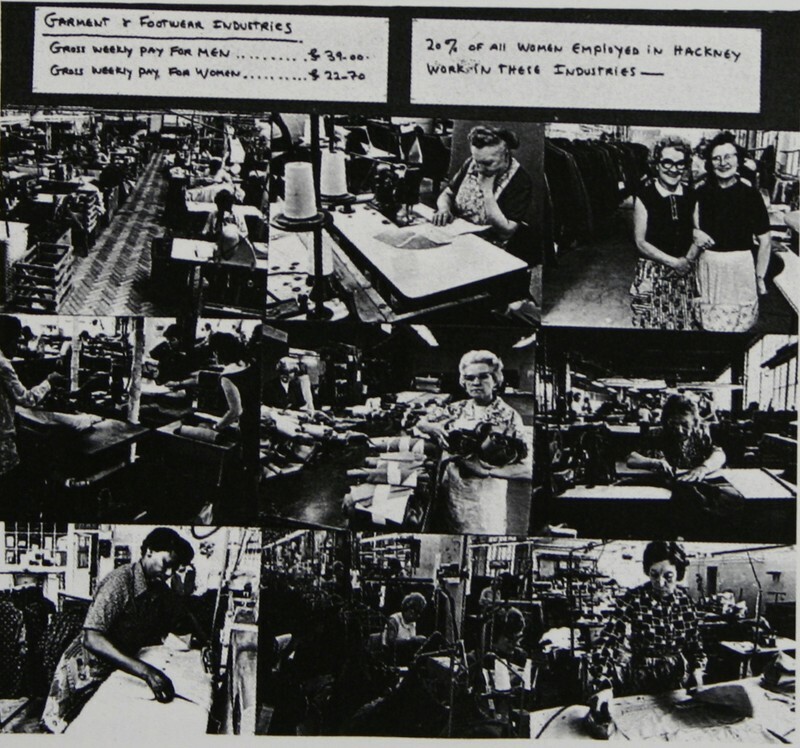 Liz Heron ‘Hackney Flashers Collective: Who’s still holding the camera?’ in Jo Spence and Terry Dennett (eds.) 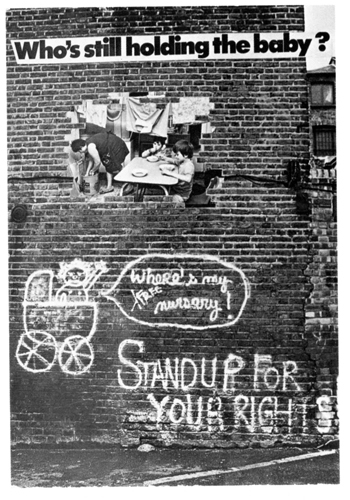 Photography/Politics: One (London: Photography Workshop, 1979, p.124 – quoted at length in Jo Spence’s “Putting Myself In The Picture”. 3. 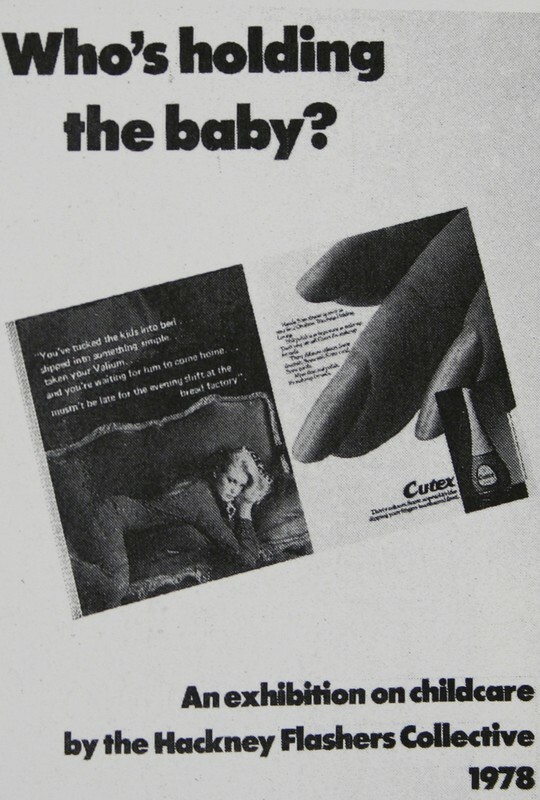 Rosemary Betterton – Maternal Embarrassment: Feminist Art and Maternal Affects. Studies in the Maternal Volume 2, Issues 1 & 2, 2010. 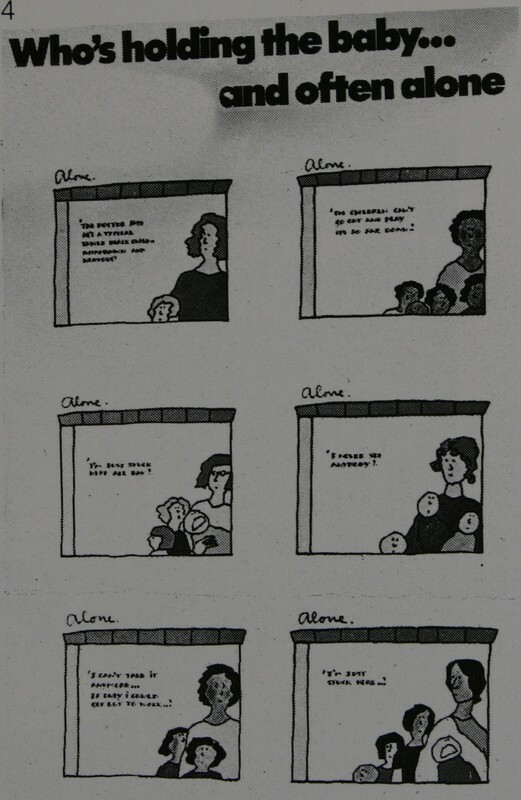 This entry was posted in 1970s, 1980s, communism / socialism, feminism by ackneyinnit. Bookmark the permalink. Thanks Nanette. I’ll get that changed.